Explore the magical display of illuminations on our Christmas Lights Night Photography Tour. 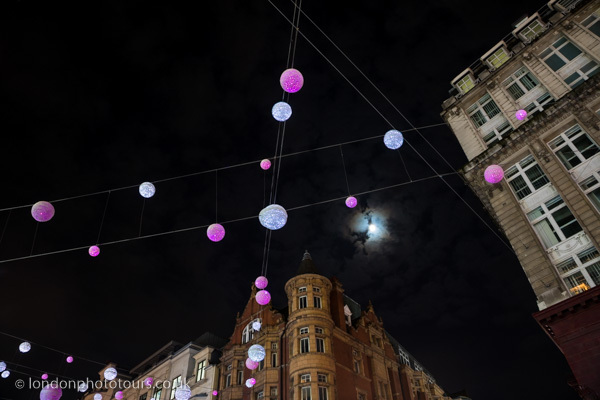 London sparkles with decorative lights and Lou will show you how to get the best shots during a fully instructional night photography tour of London’s finest Christmas Decorations. Marvel at the incredible main displays in Oxford Street, Regent Street, Piccadilly, Leicester Square, Soho and the Strand. We will step into a few side streets along the way and time permitting may photograph interesting small arcades and capture more marvellous decorations. This is a private tour with one to one tuition or private to your personal group. Select your preferred date from the calendar and add the number of places you require to the form which follows. 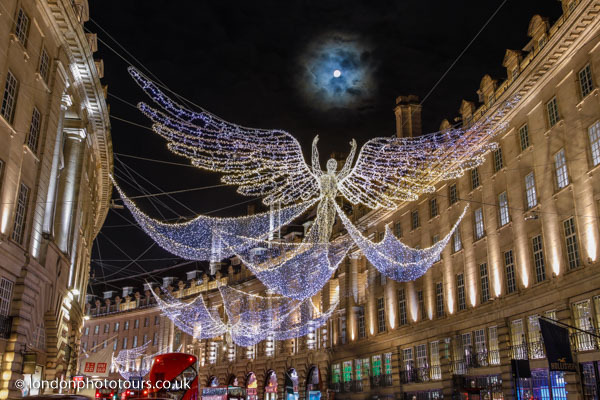 This is a visually stunning photography experience as you learn how to photograph the finest Christmas Lights display in London during a Private Christmas Lights Photo Tour.